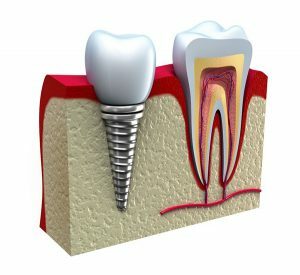 If you have been thinking about getting dental implants to replace one or several missing teeth, you should visit us. At our dental practice, our dentist, Dr. Darryl Lieberman, is able to provide our patients with dental implants in the Bronx. 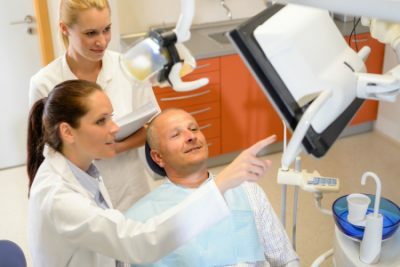 In order for a patient to be a good candidate for dental implants, our dentist will first need to determine that your jawbone is thick enough to withstand the oral surgery procedure. Once our patient is determined to be a good candidate for getting dental implants, our dentist will determine exactly where the dental implants should be located, and then surgically insert a titanium dental implant root for each tooth that is going to be replaced. There is then a waiting period of several months during which time the jawbone will completely heal and the dental implant root will firmly fuse to the jawbone. When our dentist has determined that all healing has completed, a beautiful new porcelain crown will be created which will be permanently attached to the top of the dental implant root. The dental implant crown will be made to perfectly color-match the adjacent teeth so no one will be able to tell that you have a dental implant. In fact, the dental implant will be so comfortable you too will soon forget that you even have it in your mouth. The porcelain crown will be firmly held in place by the dental implant root and you will never need to worry that it will hurt or shift position when you speak or chew. And, if well taken care of with a great at-home dental cleaning regimen, and with periodic dental cleanings at our office, there is no reason why your dental implants in the Bronx should not last you for a lifetime. For an appointment to meet with our dentist to see if you are a good candidate for dental implants in the Bronx, contact us today. This entry was posted in Dentist in Bronx on March 29, 2019 by admin. If there is a dental emergency our Upper Manhattan emergency dentist Dr. Darryl Lieberman, DDS is available to respond to it. There are several dental traumas that our practice handles. Often an infected tooth and roots are an emergency situation, especially if there is a great deal of pain involved or an abscess has formed. Other emergencies deal with trauma or injury to a tooth. Often a dental emergency involves traumatic injuries to teeth. As a result of some sort of blow to the mouth or injury teeth may become dislodged, pushed partially out of their socket. Our Upper Manhattan emergency dentist will reposition the tooth in the socket and stabilize it. If the pulp or root of the tooth is intact the tooth will heal itself. If the pulp is damaged or infected a root canal treatment may be necessary to clean out the damaged pulp. Another emergency injury is when a tooth is completely knocked out or avulsed. If this should happen keep the tooth moist by placing it back in the socket if possible, or if not by placing it in milk or water. Our doctor will treat the tooth and place it back in the socket, the treatment depends on how long it has been detached and the condition it is in. Another dental emergency involves teeth that are cracked or fractured. A crack or fracture can occur as a result of a sudden trauma but is usually the result of many years or even decades of clenching and grinding of teeth, which can cause a crack in the hard outer layer of the tooth. These fractures are sometimes very difficult to find and may eventually cause pain, difficulty chewing and thermal sensitivity. Whenever you feel pain or sensitivity in your teeth or experience a trauma to the mouth call our Upper Manhattan emergency dentist as soon as possible. This entry was posted in Uncategorized and tagged dental emergency, emergency dentist, root canal treatment, Upper Manhattan on February 28, 2019 by admin. When you look in the mirror, how does your smile look? If the answer is stained, discolored, or dull, then you can benefit from our Upper Manhattan teeth whitening. Here at the dental practice of Dr. Darryl Lieberman, we give you the choice of in-office or take-home treatment for the common causes of teeth stains. Most people start off with a brilliant and bright smile, so what happens? Well, for one thing, there is a condition called fluorosis, which is evidence that you can have too much of a good thing. The benefits of fluoride are beyond question, but if during early tooth development, there is too much of it, the result is teeth staining. Later in life, as enamel slowly but steadily wears down, the duller tissue underneath is revealed. In between, it is typically the choices you make that make our Upper Manhattan teeth whitening necessary. Wine and cola are two of the beverages that are responsible for staining. The same is true of coffee and tea, and there are few people who don’t start off their day with at least one of them. When you consider the recent popularity of iced teas and coffees, along with hot versions that come in many flavors and varieties, it is no wonder that so many patients seek out our Upper Manhattan teeth whitening. Other typical culprits are berries, curry, soy sauce, and hard candy. And then there is the top of the list, and not in a good way. Tobacco, whether you smoke or vape, can turn your teeth yellow or even brown. Call our office or use the handy appointments button at the top of our website. Set up a time to come in and experience whiter, brighter teeth as soon as possible. Our treatments are effective, safe, and quick acting. This entry was posted in Dental Bleaching on December 31, 2018 by admin. Many people lose teeth, and the losing teeth can be caused by other dental concerns. In addition to resolving such dental health problems, it is also imperative that you replace your lost teeth. In addition to the other dental problems that you may be experiencing, living with an incomplete smile can be detrimental to any progress. To restore lost teeth, there are different options you can consider, including both dental implants and dentures. Both have their pros and cons, though one solution maybe more appropriate for you than the other depending on your needs and preferences. To learn more about dental implants versus dentures, you can visit our expert, Dr. Darryl Lieberman. Dr. Lieberman can provide you with an evaluation that will determine whether dentures or dental implants in the Bronx are better for you. 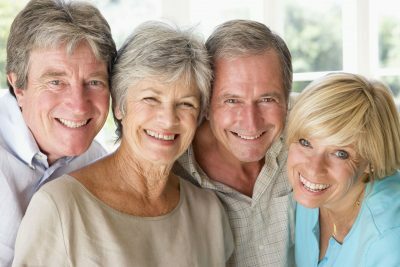 Dentures are certainly more traditional when it comes to replacing lost teeth. They have improved much over the years, and they only keep evolving as well. As new dental technologies advance, dentures can be made more effectively and they can last longer as well. Dentures are great for people who do not want to undergo surgery or cannot undergo surgery. Dentures can be removed when needed or when desired. One of the drawbacks of dentures is the fact that they may not always rest comfortably within your mouth, especially depending on what you use to keep them in place, creating friction. That is where dental implants really shine. Because dental implants are surgically attached to your jawbone, they are firmly anchored in place, allowing you to eat and speak with confidence. Dr. Darryl Lieberman can tell you more about dentures and dental implants in the Bronx, including what both procedures would entail. Depending on your needs, preferences, budget, and dental health, one option may be better than the other for you. Dr. Lieberman is here to help you figure out which one is best and can help you with the procedure that you need. To learn about dentures and dental implants in the Bronx, call the offices of Dr. Darryl Lieberman. This entry was posted in Dentist in Bronx and tagged Bronx, dental health, dental implants, dentures on November 27, 2018 by admin. You may dream that you could just wake up one morning and find that all your flawed or aesthetically imperfect teeth had been replaced with new ones while you slept. That’s a great idea, but not a realistic one, of course. You don’t have to hang your hopes on outrageous wishes, though. Here at the office of Dr. Darryl Lieberman, you can enjoy the effects of our cosmetic smile makeovers to transform your smile simple and effectively. Our cosmetic dentist Upper Manhattan invites you to come in for an examination and consultation, during which you will discuss which of your teeth you want to be included in the treatment, and ask any questions you may have. It’s also important to make certain that your teeth are structurally sound, making you a good candidate for our cosmetic smile makeovers. The next step is to devise a treatment plan that is tailored to your needs and preferences as a unique individual. Our cosmetic dentist Upper Manhattan will prioritize which aspects of the makeover are applicable to you, and the proper order in which each phase of the treatment needs to occur. The four key elements are dental implants, bonding, veneers, and teeth whitening. Implants are used to replace any of your original teeth that have been lost. They aren’t just placeholders, either. They look and feel like real teeth; and even function that way. Bonding and veneers can be done separately or together to cover up such issues as chipped, misshapen, or crooked teeth; discoloration; and wide spacing between your teeth. 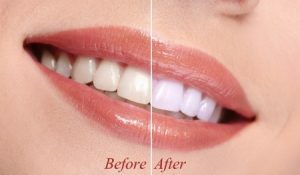 And putting a wonderful finishing touch on our cosmetic smile makeover is removing the stains on your teeth and turning them all much whiter. Come in to see our cosmetic dentist Upper Manhattan and take the first big step to changing your smile for the better. Contact us right now to schedule your visit. This entry was posted in Cosmetic Dentist and tagged Cosmetic Dentist, cosmetic smile makeovers, Upper Manhattan, veneers on October 26, 2018 by admin. One of the most reassuring things you can hear is our Upper Manhattan dentist, Dr. Darryl Lieberman telling you that you have no cavities. The goal of our office is to make that the outcome of most if not all of your visits here for a twice-yearly examination. Dental decay and the cavities that result can be prevented with proper care and attention. The progression is that plaque and tartar cause dental decay, and then cavities form. Plaque is a filmy bacteria that erodes tooth enamel. It is essential to remove it every day, which is why you should brush first thing in the morning, and then again before bed. Flossing thoroughly is also important. Tartar is the hardened form of plaque that you get when the film evades the reach of your oral hygiene. Unfortunately, there is no efficient way to remove tartar on your own, and so you depend on our Upper Manhattan dentist. Your session every six months has two purposes regarding dental decay. First is to address any existing cavities, and second is to prevent future ones. The first goal is accomplished via a checkup and periodic x-rays that detect the tiniest of holes in your teeth. Filling them now will allow you to avoid the risks of larger cavities leading to a possible toothache or infection. And the second goal is the elimination of tartar by our Upper Manhattan dentist. It’s as if you were hitting a reset button on your oral health. You’ll be less likely to develop more cavities after having a teeth cleaning. The math of the situation is simple. Less dental plaque and tartar means less dental decay, which in turn means fewer cavities. And fewer cavities mean less chance of needing root canal or a tooth extraction. Call us now to arrange an appointment. This entry was posted in Uncategorized and tagged Dental cavities, dental decay, dentist, teeth cleaning, Upper Manhattan on July 30, 2018 by admin. Taking proper care of your overall health isn’t something optional. It’s mandatory. Those efforts also involve your teeth. So make sure you don’t skip out on consistent professional cleanings. Because whatever oral hygiene you do at home, only covers about half the battle. So go ahead and visit Dr. Darryl Lieberman. Don’t waste any more time. Head over to our location soon and speak with our Upper Manhattan family dentist. You’ll wonder why you didn’t do it sooner. And now you’re inevitable wondering, “Why are professional cleanings so important… after all, I rarely ever skip a day of proper oral hygiene?” Here’s the problem: plaque somehow just has a gift for finding a way of sneaking itself into those hard to reach crevices—no matter how rigorously you clean—that only a trained professional can properly access. Don’t gamble with the health of your teeth and gums by overlooking this reality. Plaque eventually develops into tartar—a breeding ground for bacteria that slowly attacks gums. Once this happens, you’re far more likely to develop gum disease. That’s why being proactive is pivotal, it helps avoid that kind of setback. But if you already developed gum disease, don’t worry—there’s still hope. Keep the effects advanced gum disease under control by getting regular periodontal cleanings. These deep cleanings are able to reach tartar that has lodged itself deep within your gum line. For more information, or to go ahead and schedule cleaning, don’t think twice about reaching out to Dr. Darryl Lieberman (an Upper Manhattan family dentist). Couldn’t be easier. You have nothing to lose and everything to gain by swinging a trip to our offices. So don’t waste another second. Pick up the phone, punch a few digits and call Dr. Darryl Lieberman to schedule an appointment for top-notch care from this Upper Manhattan family dentist. This entry was posted in Uncategorized and tagged deep cleanings, family dentist, gum disease, oral hygiene, Upper Manhattan on June 27, 2018 by admin. Dental plaque is an invisible film-like substance that causes tooth decay and gum disease. At the office of Dr. Darryl Lieberman, you can depend on expert care to help prevent the effects of dental plaque, and to address them effectively if they do arise. You may not be able to stop the formation of plaque, but if you watch your consumption of sugars and starches, you can keep the amount that does develop to a minimum. Sugar and starch are like fuel for plaque. The less plaque, the less opportunity for cavities and for gum problems. In addition to your diet, our dentist office Upper Manhattan recommends that you brush your teeth when you wake up in the morning. Brush them again before bed, and floss, too. Most of the plaque that is on your teeth and at the gum line will be removed when you follow that strategy, but it’s typical that some will manage to remain out of reach, and later turn into tartar. Our dentist office Upper Manhattan is where you need to go to get rid of your tartar, which is a hardened form of plaque. At-home oral hygiene is not effective against it. 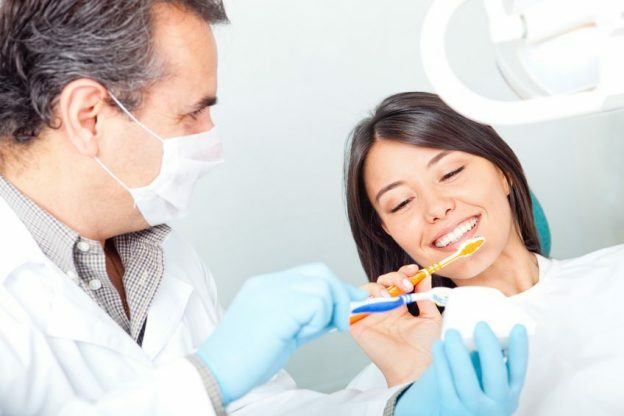 And by coming in once every six months, you’ll be consistently dealing with tartar buildup with our teeth cleaning, which also incidentally will reverse the signs of early stage gum disease, or gingivitis. Left to progress, gum disease will become advanced, and you will have to deal with possible symptoms like receding gums, bleeding when you brush, frequent bad breath, loss of gum and bone tissue, and loose teeth. And don’t forget, any cavities that do exist should be filled promptly. Contact our dentist office in Upper Manhattan to schedule your next visit to manage dental plaque, tartar, and the impact they have on your teeth and gums. This entry was posted in Uncategorized and tagged dental plaque, dentist office, gum disease, tooth decay, Upper Manhattan on May 29, 2018 by admin.